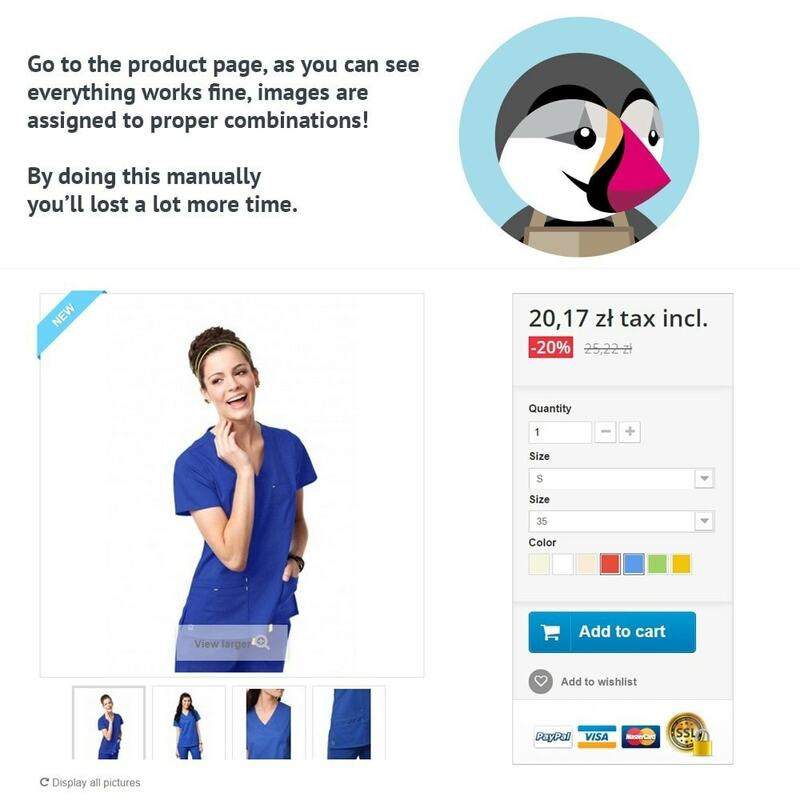 Module allows you to associate existing product images of your products, to the combinations, without having to browse all the combinations one by one, or going to separated page, everything in the same place where you edit your product sheet. By default to assign the images with the combinations, you need to modify them one by one, this is not a good solution, this module coming with quick and easy method which is a lot faster and easier. 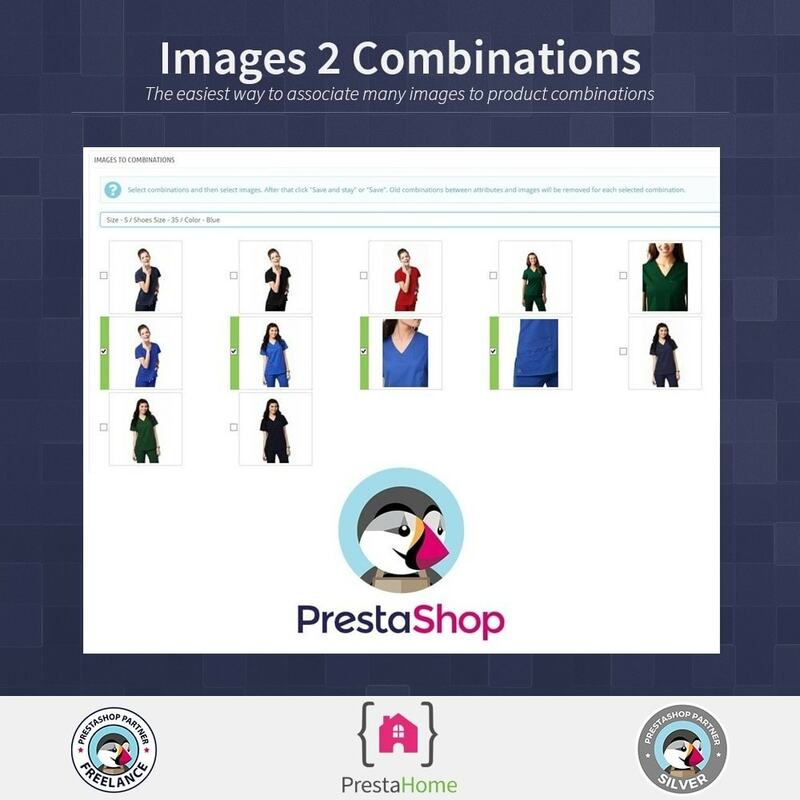 Don't waste your time and get advance of this module to create combination with different images faster and easier. - you can easily select/unselect images using simple drag&drop mechanism, the same mechanism uses to select files in your PC operating system! 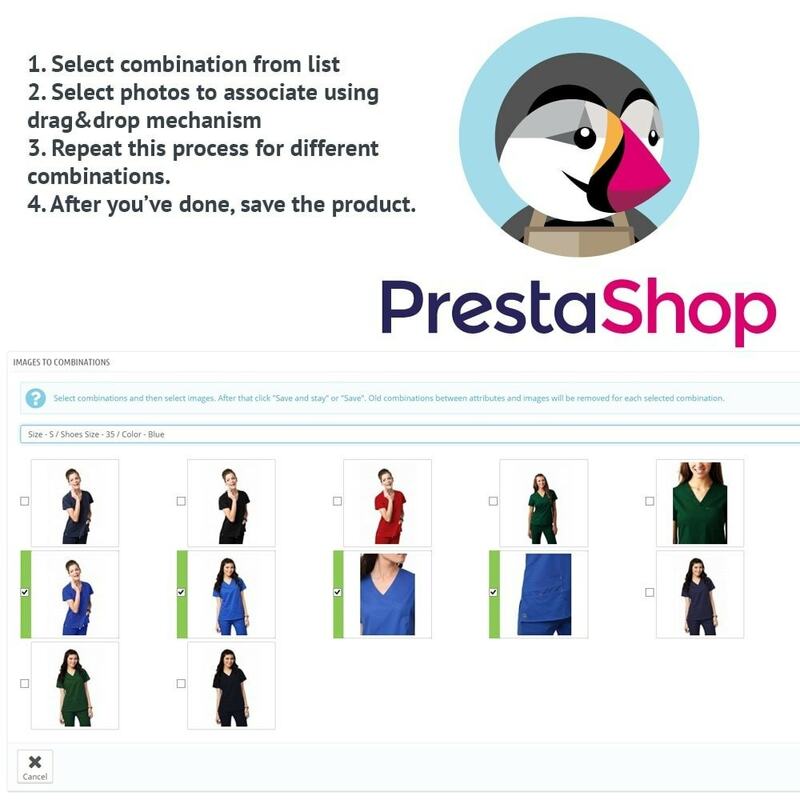 As freelance Prestashop’s partner PrestaHome owned by Krystian Podemski helps you within creation of custom module, custom theme implementation and other services related to PrestaShop such as consultation, support and trainings. This module allows you to integrate your store with amazing application - Slack. You'll receive notifications about new orders, customer registration and other. If you use Slack for communication in your shop - this is a must have module for you.